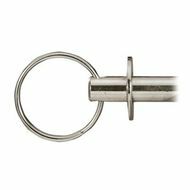 Ring Pins provide a convenient, removable pin designed with a cotter hole for a secure application. 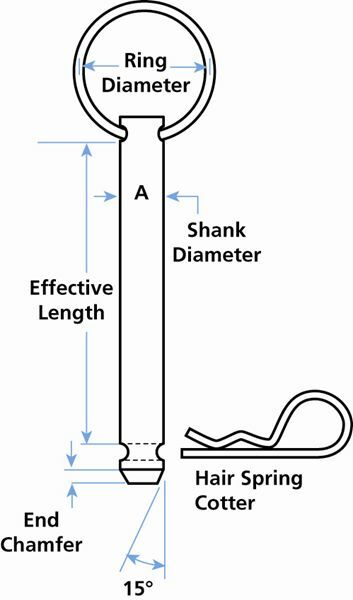 Used typically with a Hair Pin Cotter, Ring Pins offer fast and secure adjustments on equipment. 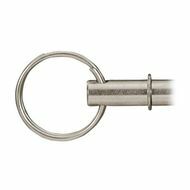 Ring Pins with collars are also available with washer collars, crimp collars or headed collars. Ring pins are also known as Hitch Pins. 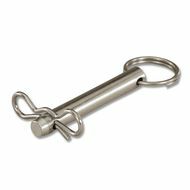 Steel Lanyards or Nylon Lanyards may be added as a low cost tether to prevent loss. Some Cotter Pins that we have available for use with Ring Pins include Bow-Tie Locking Cotters, Rue-Ring Locking Cotters, Circle Cotters and Hair Pin Cotters. Standard material is low carbon steel, zinc plated. 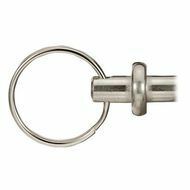 Available in higher carbon steel, which can be heat treated, or corrosion-resistant stainless steel. Made to Order to your specifications.